What Comes After the Pen Is Down? Writing a book is a little like running a very slow marathon. It’s long. It’s grueling. And it requires an extraordinary amount of dedication and hydration (though in writing, wine is far superior to water). Even children’s picture books require their fair share of blood, sweat, and tears. Joy—You did it! You wrote a book! Anxiety—Ahh! What if no one likes it? In fact, if you’re feeling overwhelmed, we have good news—that’s normal! In fact, there are a few different paths available to you and your bright and shiny new manuscript. But first, you’ll need to get your book whipped into shape, and for that, we’ve devised a brief step-by-step guide. Step 1: Put it aside. There are few moments in life where the best thing you can do is literally nothing. This is one of them. Many people equate writing to giving birth. Your book is your baby. You worked on it for months—maybe even years. You poured your heart and soul into its pages. Understandably, you’re not going to want anyone else’s red ink all over it right after you’ve given it life. That’s why it’s best to just let it sit. Put it aside for a few weeks. A month, maybe. Then, when you feel you can look at it again more critically, pour yourself that much-needed glass of … er, hydration, and slash it to pieces. Is the book you had in your head really what’s laid out on the page? Are there any holes you thought you’d filled but actually never addressed? Does the plot move fast or slow enough? At this point, your job is to try to imagine what questions a reader might ask if they were to pick up your book right now. Step 2: Hand it over. Once you’ve polished up your book to the point where you feel it’s as good as you can make it, give it to someone else to read. You may want to insert a mini-step here where, once again, you let your book sit for a minute before you hand it over. That way, when your reader gives you their feedback, you’ll be less inclined to take it personally. The worst thing you can do as a writer in step two is be tough on your beta readers. These friends/family members/coworkers/etc. are being kind enough to read your book and give you their thoughts. Your job is to listen. If they mention a part where they felt confused, don’t interrupt. Don’t explain. (Unless they ask for an explanation, of course, in which case, you’d be rude not to give one.) Write the person’s feedback down, and then, once again, sit on it. Those critiques that maybe sounded a little harsh or silly at first might come across better after a good night’s sleep. If you’re lucky enough to have multiple people read your book and give their thoughts, you’ve got an advantage. As you look over your edits, you’ll be able to see if different people have pointed out the same things. If so, that’s great! It means you’ve got something solid to address. Get out the red/purple/blue pen and mark up your own copy. Or, if you prefer, just go ahead and take your revisions straight to Word. Your job here isn’t just to make every change someone pointed out. Rather, you need to make some critical decisions with an open mind. Pick and choose what edits you want to make, and see where you end up. Step 4: Hire an editor. 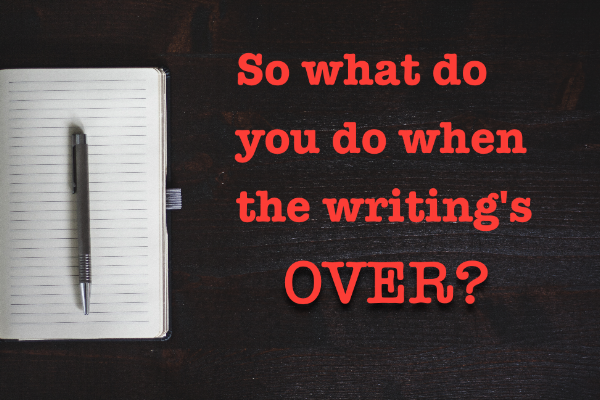 Many writers skip this step, thinking, “Everyone I asked to read my book said they loved it! Why should I bother?” As we mentioned in our last blog, however, there’s a big difference between beta readers and editors, and much of that difference comes down to expertise, experience, and ability. Hundreds of manuscripts go into the slush piles of publishers around the country every day. If you want an editor to notice your book, you’ve got to make a stellar first impression. Hiring an editor to do a developmental or content edit, and then again later to fix any typos or inconsistencies, is one of the best gifts you can give yourself. Be sure to check out next week’s blog for more info on these three options, and while you’re at it, tell us what you thought of this week’s post in the comments below! We’d love to hear from you! Older PostWhat Does a Book Editor Do?